Close your eyes and imagine crystal clear waters teeming with wildlife, long sandy beaches, and barely a tourist in sight. There are no high-rise condos, no hotels, and no clubs. Does this sound too good to be true? Believe it or not, such a place does exist, and can be found in Brazil. 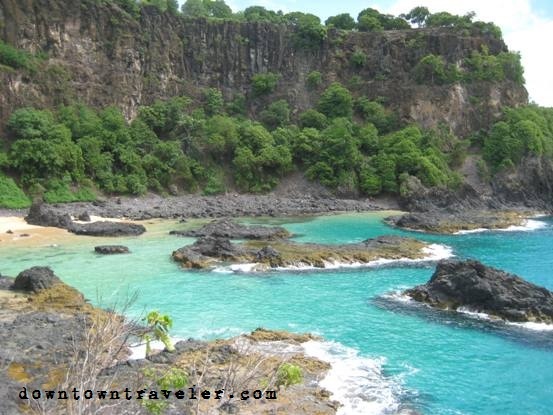 Fernando de Noronha is an archipelago of 21 small islands, located 220 miles off of the Brazilian coast. The Brazilian government tightly regulates the type of construction that can take place on Fernando de Noronha, and over half of the island chain has been designated a National Marine Park. The total number of visitors is limited, and tourists are charged an environmental preservation tax that increases based on length of stay. 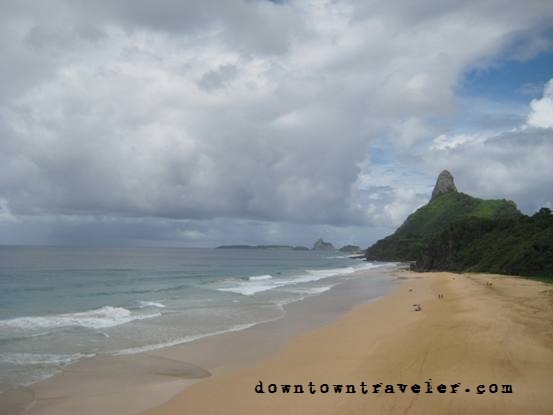 One of Fernando de Noronha’s biggest draws is the incredible diving, with visibilities often reaching 120 feet or more. Given the environmental protections in place, the marine life is abundant. The coral, however, can be a bit disappointing, as the rocky outcroppings that envelop most areas give off little color. 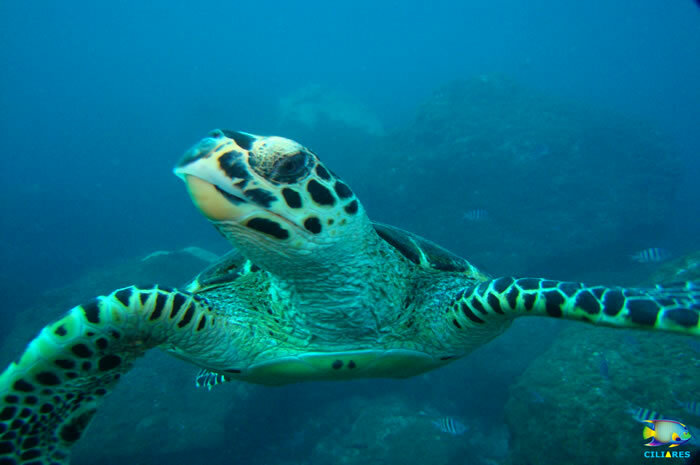 Divers are virtually guaranteed to see large numbers of sea turtles, along with spotted eagle rays, sting rays, and the occasional nurse or reef shark. Some bays are home to thousands of spinner dolphins that come in the early morning to feed, though it is forbidden to dive with them. 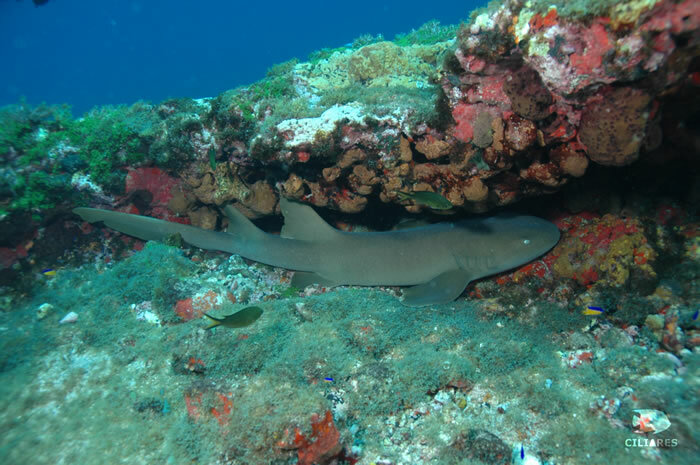 Lucky divers, however, may encounter smaller pods while in the outer reefs. There are currently only three dive operators on Noronha – Aguas Claras, Atlantis Divers, and Noronha Divers. Prices are regulated and are all the same, though Aguas Claras and Atlantis Divers are the largest and most established, usually visiting more sites each day. 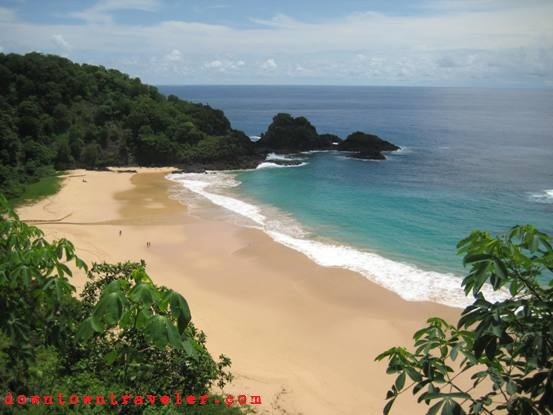 The islands of Fernando de Noronha can only be reached by air and are serviced by TAM, Varig, and Trip Airlines. Flights leave daily from the Brazilian coastal cities of Natal and Recife. This is where I’m going on my honeymoon, can’t freaking wait!!!!!!!!!!! What hotel did you stay at? When we lived on our boat, we anchored here for over a week. What a wonderful place. They limit how many people can be on the islands at once, as they are really protecting it. It was amazing to be able to walk down a stretch of pristine beach and not see any other people. It really is wonderful! Wow! Incredible photos and what a beautiful area. Had no idea. Andi – I’m jealous that you’re getting to go, we miss it like crazy! There aren’t really any traditional hotels on the island that I’m aware of since they limit the development, so it’s mostly small family run guesthouses. We stayed at Leao Marinho Pousada and liked it. It’s pretty simple and bare bones, but functional and in a good location. We found it through trip advisor and it had good reviews. The owner, Mary, spoke really good english and makes and awesome included breakfast every morning. Have fun! What a beautiful place…makes me want to go there, especially when it’s 28 degrees outside. Maria- It really is an amazing beach destination! Where else can you snorkel with sea turtles right off shore and enjoy deserted beaches? I’d highly recommend it! 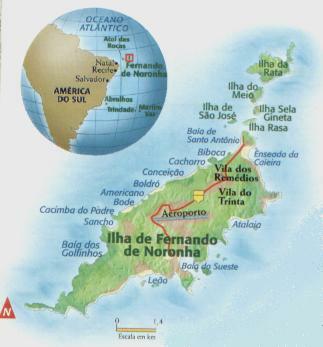 Oooh Fernando de Noronha… I spent my Easter Holidays here 2 years ago. It was fascinating and perfect for nature lovers. I got addicted to fruit juices with açai !!! I went on one of the diving tours… we did 3 dives, being the last one “diving with sharks” (ok, the sharks were petit…) but I did see from very close a group of barracudas! This place looks amazing! I may have to rethink my decision to skip Brazil when we are in SA. Gorgeous photos! Thanks Christy! I would strongly recommend stopping in Brazil. We spent two months traveling up the Brazilian coast during our RTW trip, and it was one of the highlights of the year. The beaches are beautiful and it’s easy to get around by bus and inexpensive flights. It does help to know a bit of Portuguese or Spanish, which are quite similar. There is a steep visa fee for Americans, and a lesser fee for Canadians, but I think it is worth it. Brazil is a large country with many attractions, so you will get your money’s worth 🙂 Let me know if you have any specific questions. I’d be happy to help! Gorgeous pictures! Never been to Brazil, but met some pretty cool people from there this week in Budapest, Hungary. It is on my bucket list! I would love to see a sea turtle in the water like that. Fernando de Noronha is an awesome place to spot wildlife… we actually swam with giant sea turtles like this one right off the shore! We brought our snorkel masks whenever we hit the beach and were never disappointed.